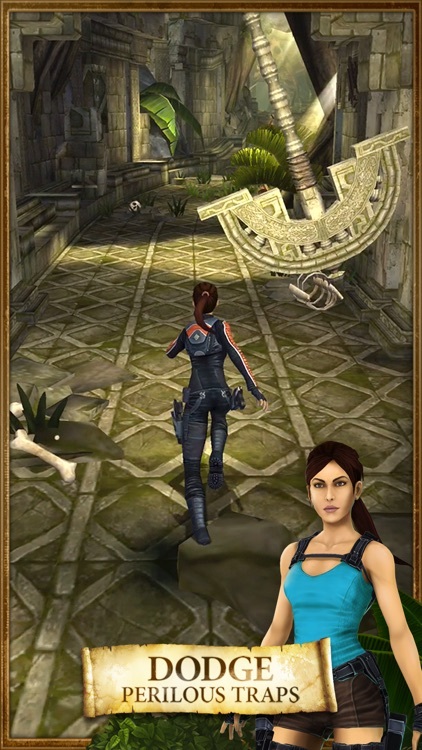 Run, swing, drive, and swan dive your way as Lara Croft through mesmerizing yet hazardous environments, uncovering ancient relics to unearth the truth and solve the mystery behind a shadowy conspiracy that threatens the world! 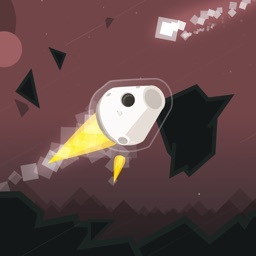 Jump over rocks and logs. 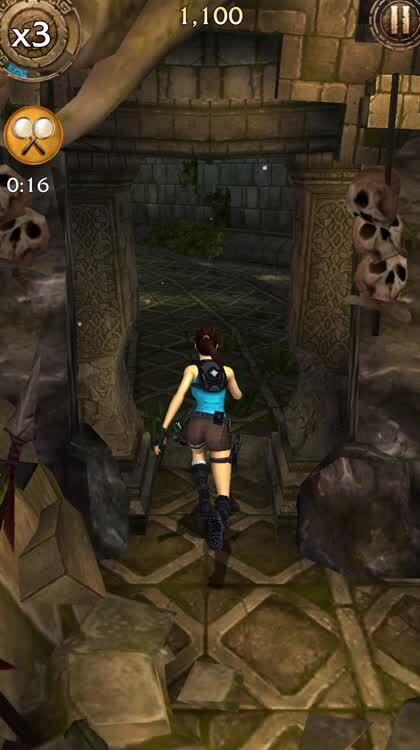 As you're running through the jungle or temples, things get in your way. Luckily, you are a champion jumper and can leap over them. Slide under traps. Sometimes, you'll run up against obstacles that you cannot jump over. 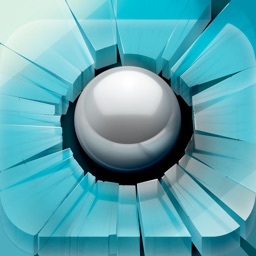 Swipe down, and you'll slide under them and be safe from harm. Shoot your enemies. 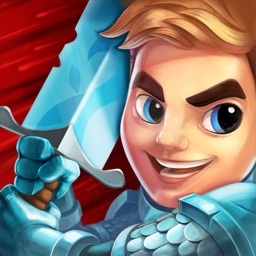 Bad guys will try to stop you, so pull out your trusty handguns and blaze away to take them down. 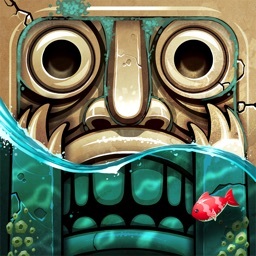 - Discover incredible locations as you make your way through the jungle, the desert or the mountains, each filled with secrets and danger. 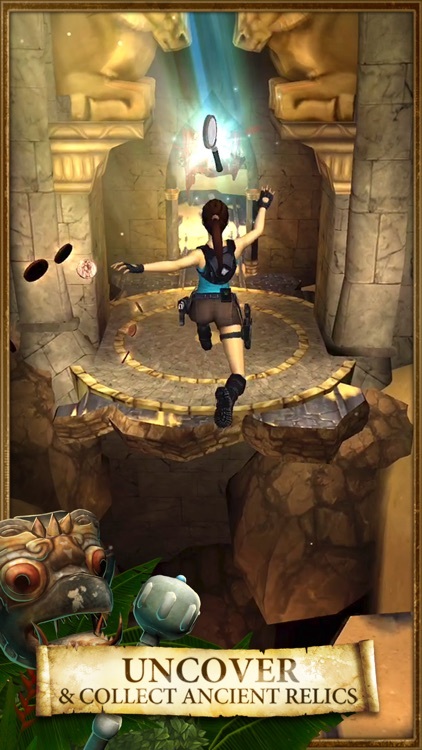 - Use Lara’s signature parkour moves to create death-defying last minute escapes. 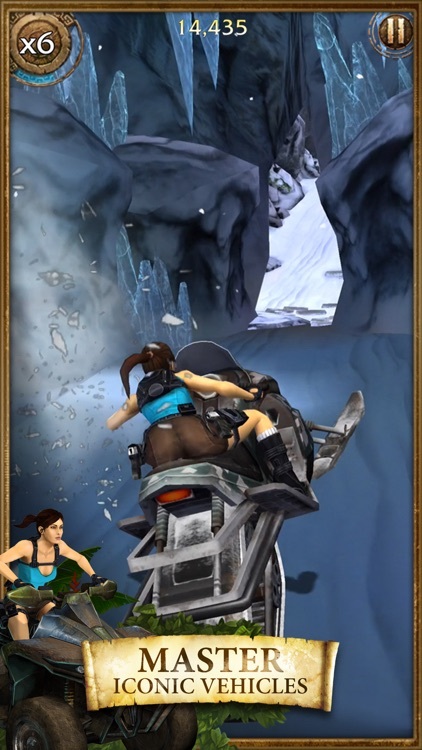 - Master fast-paced vehicles like ATVs and motorcycles to give Lara more ways to conquer the terrain. 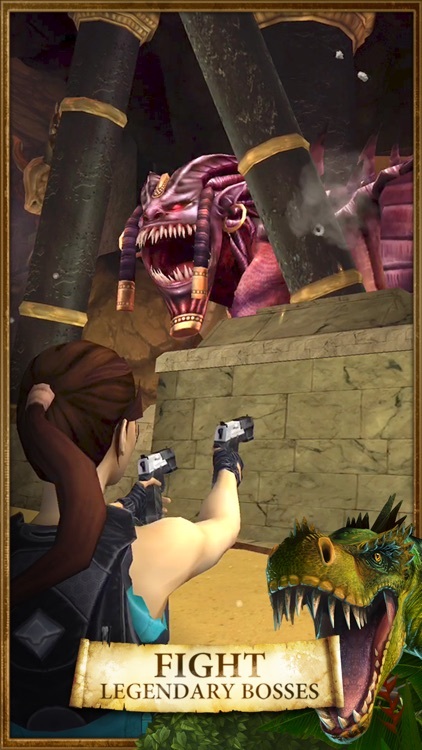 - Engage in epic Boss Fights and defeat iconic enemies including the return of the infamous T-Rex! 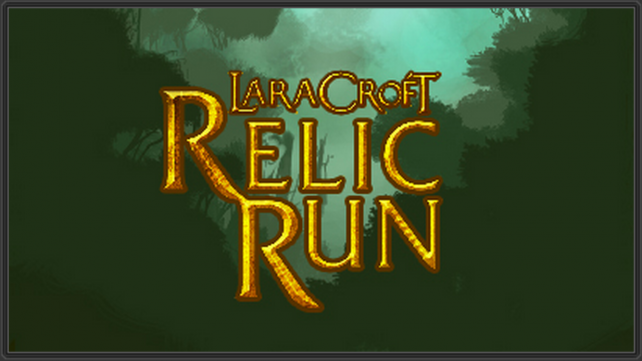 - Progress through the campaign map to collect relics and uncover the Relic Run mystery. 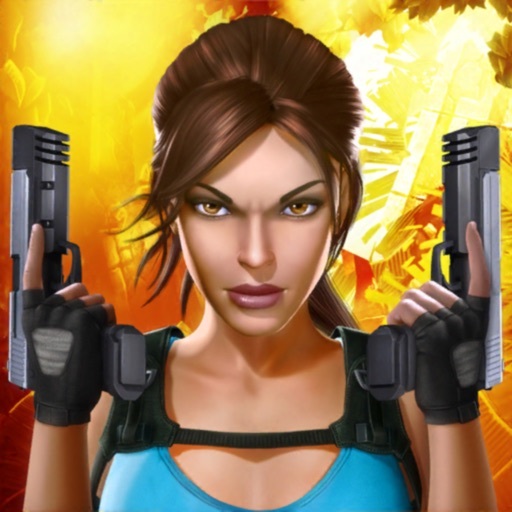 - Power up Lara’s arsenal of weapons and engage in frantic combat. 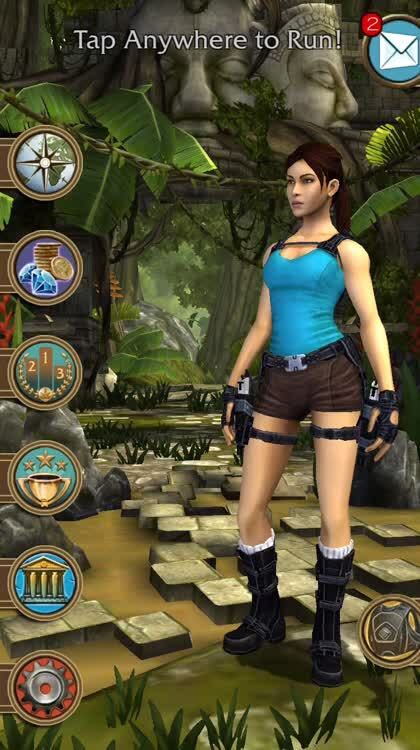 - Choose from a wardrobe of classic Lara outfits, each with its own gameplay perks. 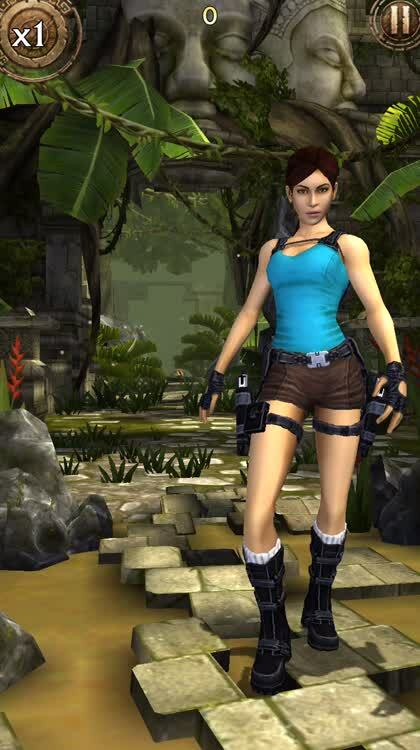 - Swap and upgrade equipment to give Lara the edge. 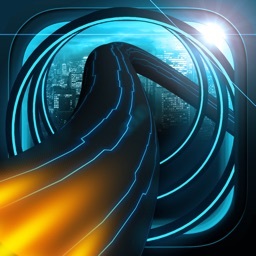 - Earn bragging rights on the leader boards. Chaos Rings III has made an appearance on the App Store in a brand new English language version. 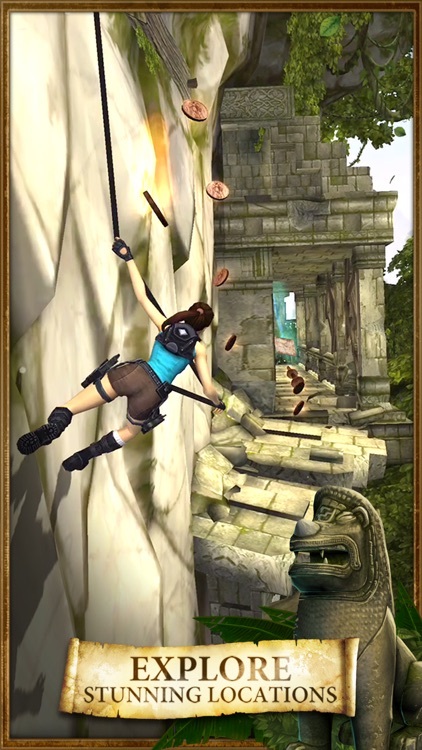 Lara Croft: Relic Run lets you engage in an auto-running action adventure through multiple ancient locations and different exotic environments.